Could Cross-Border Extended Collective Licensing Open Digital Treasure Troves? STOCKHOLM, Sweden — Libraries and archives are increasingly important in the digital era, but without better access to their vast reservoirs of data and materials for research and education, “we are going to lose out,” Anne Leer, World Intellectual Property Organization deputy director general, culture and creative industries sector, said at a conference hosted this week by the National Library of Sweden and Stockholm University. The 5-6 November event looked at whether cross-border copyright collective rights management might be an effective mechanism for accessing digital archives and libraries. The event was titled, Digital Frontiers: Access to Digital Archives and Libraries through Cross Border Collective Rights Management of Copyright. The concept doesn’t come without problems, but panellists said they’re optimistic about its potential. Research doesn’t confine itself within state borders, said Gunilla Herdenberg, national librarian, National Library of Sweden. Printing paper copies and traveling long-distance is not a sustainable model for research, she said. To deal with access and copyright clearance issues Nordic countries have for years relied on “extended collective licences” (ECLs), which cover the works not only of rights holders who have signed up individually or through collective management organisations (CMOs), but also those of the “outsiders” who make up the bulk of media worldwide, said Jan Rosén, a law professor at Stockholm University Institute for Intellectual Property Law and Market Law. But there’s no one-size-fits-all solution to cross-border access for all types of works and jurisdictions, he said. One problem is that collective management systems differ: the convergence taking place in the copyright sector across new platforms hasn’t been matched by appropriate changes in law and policy, and collective management regimes also vary across different genres such as music and print material, Leer said. Another issue is that the definition of “library” is changing, she said. The largest audiovisual archive [corrected] is now YouTube, raising questions about the role of WIPO, libraries and collecting societies. These issues require input from all stakeholders, but often Google, Facebook and their kin are the elephants “not in the room,” she said. Europeana, the European Union initiative on digital archives and libraries, launched in 2008 and now holds three million objects, said Lucie Guibault, a professor at the University of Amsterdam Institute for Information Law. Only 30,000 of those items are videos, because only a small portion of video material is in the public domain, she said. The EU and national governments are weighing how best to digitise the audiovisual archives of public broadcasters, but the main challenge is how to make the material available, she said. Questions such as who owns the rights and how best to negotiate with rights owners need answers, she said. A US Copyright Office report in June on orphan works (whose rights owners aren’t known or can’t be found) and mass digitisation concluded that fair use and voluntary licensing models can only go so far, said Kevin Amer, senior counsel for policy and international affairs at the Copyright Office. Those approaches allow the use of text and data mining and small snippets of works, but not access to full works, he said. The Copyright Office has urged Congress to consider some form of ECL model and proposed an ECL limited pilot, Amer said. Under its terms, lawmakers would consider legislation to allow CMOs to apply to the Copyright Office for authority to run ECLs, which would be limited to literary works, pictures or graphic works embedded as illustrations, and photographs. The pilot would allow rights holders to opt out, and be limited to non-profit educational or research uses only. It would also contain a “savings clause” to ensure that any legislation would not prevent users from relying on fair use. The proposal also contains a five-year sunset clause. The recent US 2nd Circuit Court of Appeal decision http://caselaw.findlaw.com/us-2nd-circuit/1715868.html in Authors Guild, Inc. v. Google, Inc. held that Google “snippets” are fair use, but that if plaintiffs’ claim were based on Google’s converting their books into digitised form and then making that version publicly accessible, “their claim would be strong,” said Amer. The Copyright Office believes this is consistent with ECL, which would pick up where fair use leaves off. European efforts to solve problems of clearing rights to older film and television programs haven’t been successful, said Andrew Chowns, CEO of Directors UK, a CMO which represents film directors. The European Commission (EC) asked stakeholders to find non-legislative solutions to critical copyright problems under its Licenses for Europe (LfE) project, he said. Of the four groups studying different issues, only the panel on audiovisual and cultural heritage institutions was able to agree on anything, showing how difficult it will be to reconcile polarised views, he said. The outcome of EfL was a 2013 “instrument” setting out general principles and specific procedures for clearing works that has never been used because it’s geared to rights clearance in individual TV programs and films, not archives and large volumes of works, Chowns said. Libraries and archives are silos confined to territories or a building itself due to legal restrictions and the lack of viable business models for mass usage, said National Library of Sweden Senior Legal Advisor Jerker Rydén. Mass access can’t be licensed work-by-work so the solution is collective licensing that isn’t confined to one jurisdiction, he said. Clearing rights for large-scale digitisation projects isn’t primarily an orphan works issue, but the focus on that issue has waylaid the search for solutions by obscuring the bigger problem of the huge number of copyright owners whose consent must be obtained, he said. The library has launched pilots on using ECL for rights clearance, cross-border access via agreements between CMOs and public-private partnerships between the library and publishers, he said. There are two ways to include audiovisual works in digital archives for mass usage in a way that respects copyright laws, said attorney Peter Schønning, former head of the Copyright Office and sports director in the Danish Culture Ministry. The complicated way is to use the EU Orphan Works Directive system of diligently searching for rights holders; the easy way is for CMOs to clear rights, because that’s where they have expertise, he said. The BBC, whose archive is one of the largest and richest in the world, has made over a million programs accessible for education under a licence since 1989, but it would be better if learners could access all of its content, said Head of Archive Labs Jake Berger. The potential for huge revenue streams lies in the enormous demand for more media and a complete set of the world’s cultural heritage to be made available to students and researchers, he said. The cross-border problem could be solved by recognising the principle that the country of first publication has the necessary jurisdiction to clear rights, said University of Amsterdam’s Guibault. She suggested EU-level language providing that where a member state has an ECL mechanism for making material available to cultural institutions, the work may be made available at or by the same categories of institutions in all member states. This would leave countries free to establish ECL regimes or not and to set conditions on what works are covered, what types of uses allowed, duration and payment, and it could possibly avoid tax and competition law problems, she said. But the proposal would not guarantee broad availability of works because each ECL would cover different material, and it would require that CMOs organise to identify rights owners and potentially create a registry for ECL-based systems across borders, she said. 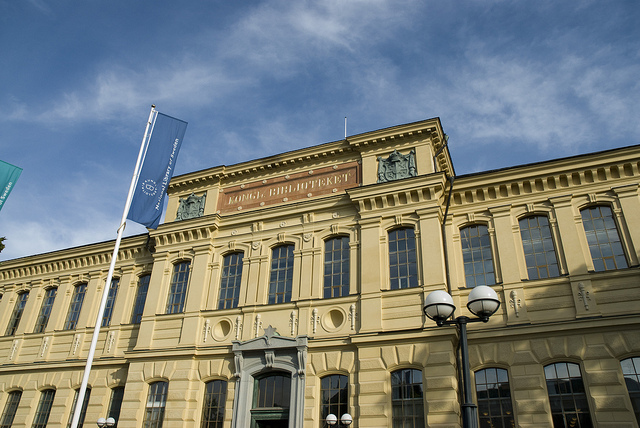 ECL is the middle ground in a range of vehicles for access to digitised libraries and archives, said Johan Axhamn, a doctoral candidate in private law at Stockholm University’s Institute for Intellectual Property Law and Market Law. Those mechanisms include individual management of rights by the author herself; collective management systems in which individuals specifically agree to take part; compulsory licences; and copyright exceptions and limitations. ECL, which is collective management supported by legislation, would cover those creators who have not explicitly signed up to a CMO, and would create a presumption of representation. One question is how to ensure that ECLs mesh with the EU Collective Rights Management Directive to prevent non-CMO organisations from circumventing it, he said. ECL holds the perceived opportunity for negotiating with multiple rights owners, but if a large number of creators opt out, many of the benefits are lost, said Roschier Law Firm Senior Associate Erik Ficks. Collecting societies will have to create complex systems to keep track of opt-outs and rights owner compensation, he said. The only way to achieve cross-border ECLs is for CMOs to cooperate and to licence in all necessary territories, backed by national law, said Lars Grönquist, chief legal officer of Copyswede, an umbrella CMO. Broadcasters think ECLs are “win-win,” said Heijo Ruijsenaars, European Broadcasting Union head of intellectual property. Their advantages for broadcasters are that they are voluntary, with an opt-out system; technology neutral; flexible and future-proof; and for use only where appropriate, he said. Christopher Natzén, of the National Library of Sweden collection and research and development division, demonstrated an ECL remote access pilot. Its mission statement is, with the support of existing legislation and within the limits of the current budget, to create an infrastructure and business model for researchers that enable cross-border access to the library’s collections. "Could Cross-Border Extended Collective Licensing Open Digital Treasure Troves?" by Intellectual Property Watch is licensed under a Creative Commons Attribution-NonCommercial-ShareAlike 4.0 International License.